The Yale YRD216 Z-Wave Push Button Deadbolt lock is a versatile and robust option for replacing the old lock in a user's home. Its Z-Wave compatibility lets the user operate the lock from anywhere, and the easy to use touch button keypad is simple to program. Buy the Yale YRD216 lock here. The Yale YRD216 is a Z-Wave Plus push-button deadbolt lock that replaces an existing lock in a user's home. With Z-Wave Plus functionality, the device features an extended range and better reliability than classic Z-Wave locks. The lock is easy to program for a great end user experience. A great aspect of the YRD216 is its overall flexibility and versatility. The lock can be opened with a traditional key, but most users will want to take advantage of the touch button keypad featured on the front of the device. Users can program codes of four to eight digits for quick and easy access. Once the lock is paired with a Z-Wave controller, up to 250 different entry codes can be created. Plus, codes can easily be added and deleted if a user wants to give a friend or a relative temporary access. The backlit keypad allows for easy use at night, and the numbers are specifically designed to not fade or wear-off over time. The lock is rated as certified Grade 2 to keep the building protected. As a Z-Wave Plus device, the YRD216 offers outstanding functionality as a smart home device. It features the extended range and added reliability associated with these advanced devices. Pairing the lock with a Z-Wave controller is perfect for getting the most out of the device in every way possible. 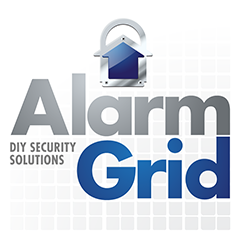 This is especially true if the user pairs the lock with their alarm system. Many panels will allow the user to operate the lock directly from the system itself for quick and easy operation. Using an interactive service platform like Total Connect 2.0 or Alarm.com with the system makes things even easier. A user can access one of these services from a web browser or from a mobile app on their smartphone to lock or unlock their YRD216 from anywhere. This can be great for helping a friend get inside or for letting your kids in when they get home from school. Plus, integrating the lock with smart scenes can provide added convenience by allowing the lock to activate automatically in certain situations. For example. a user might program the device to lock automatically at 10:00pm if it isn't already locked. Or they might have the device unlock on its own as soon as they disarm their system. Other features for the lock include a weather protection gasket, one touch-locking, backlit numbers, a privacy button and a tamper resistant battery cover. The device includes all of the equipment needed for mounting and installation. The device is powered using four AA batteries, and it has a battery life of roughly a year. Three color options are available, including bronze, nickel and brass. How Do I Factory Default My Yale Z-Wave Lock? How Do I Exclude My Yale Z-Wave Lock? How Do I Include My Yale Z-Wave Lock?